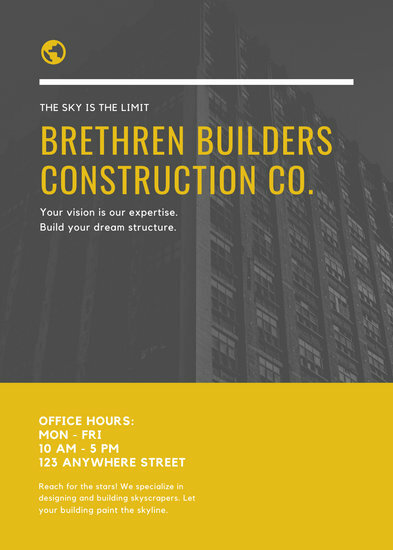 Get a flyer you don't have to create from scratch. 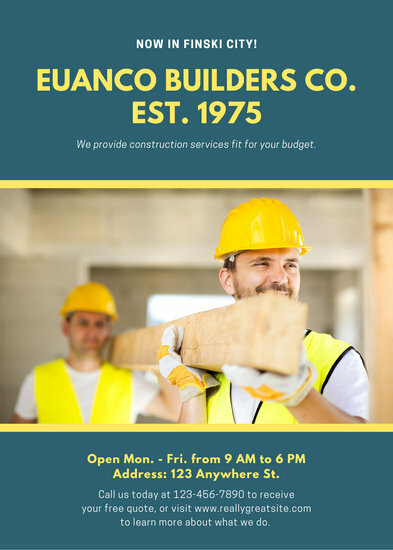 Choose from our collection of ready-made construction flyers you can customize in minutes. 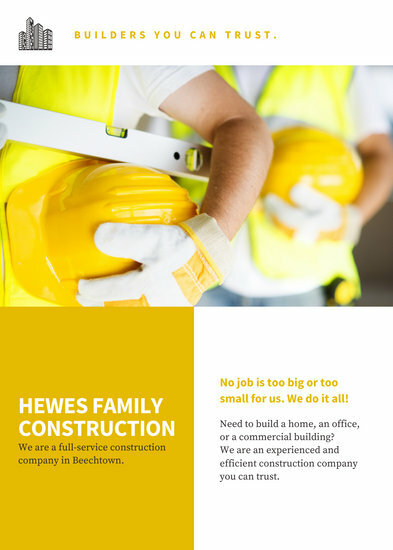 Want to build awareness for your company? 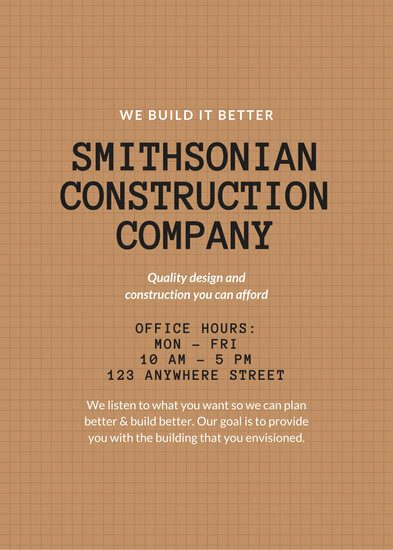 Get the word out about your product or service the old-fashioned way by handing out flyers. 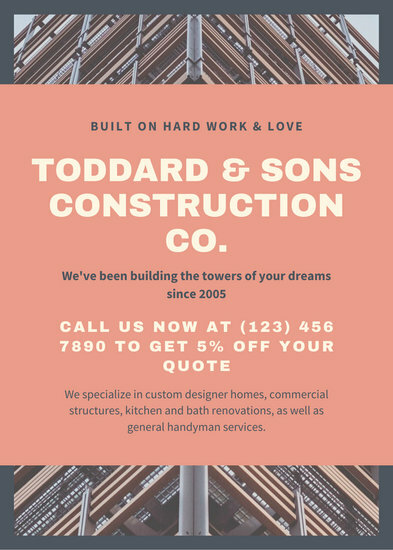 Sure, it sounds dated but when done right, these small handbills or advertising sheets handed out to people on the street can pique their interest in your product or service. 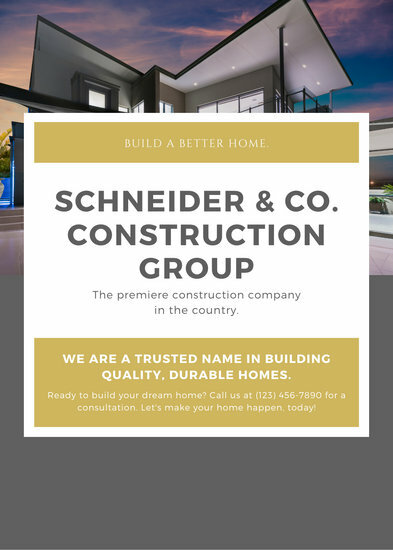 Building a home or putting up a building is a big decision that involves a significant amount of money. 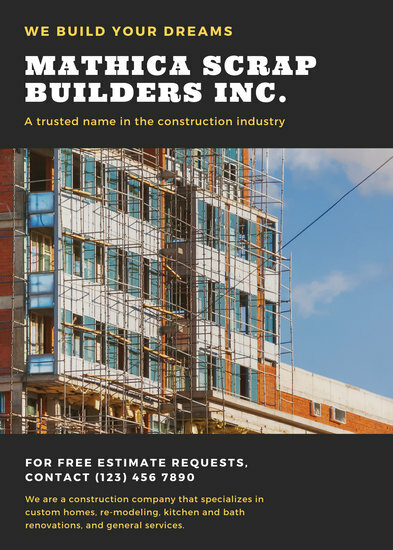 As such, not only do construction and engineering firms need to convey an image of reliability but also convince potential clients that they can do the job well. 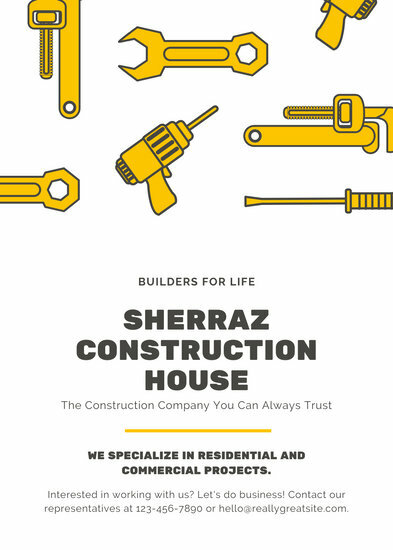 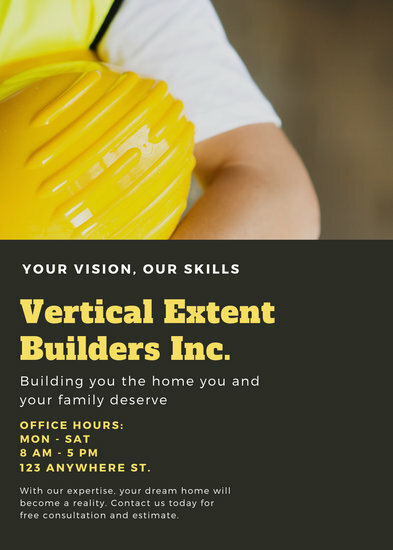 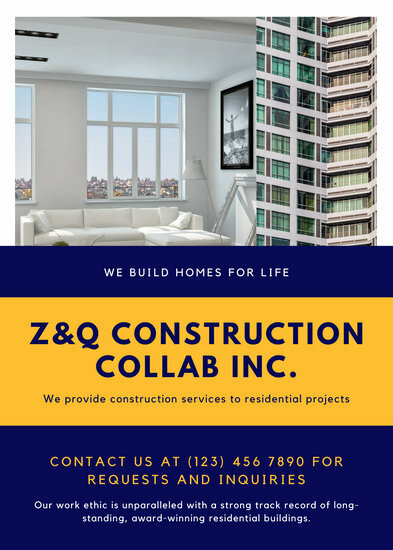 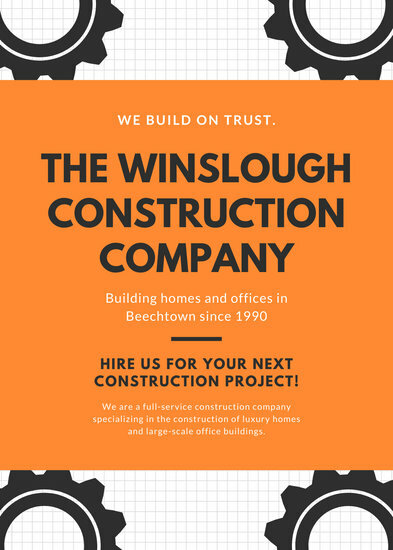 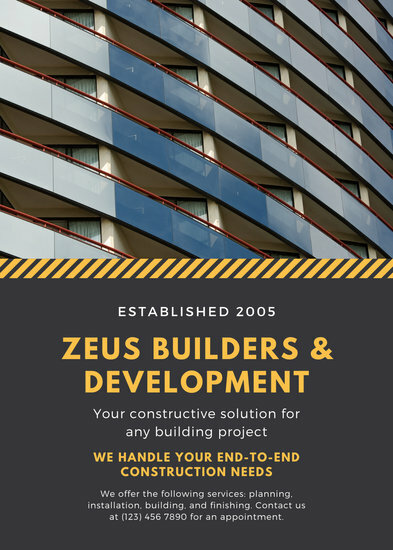 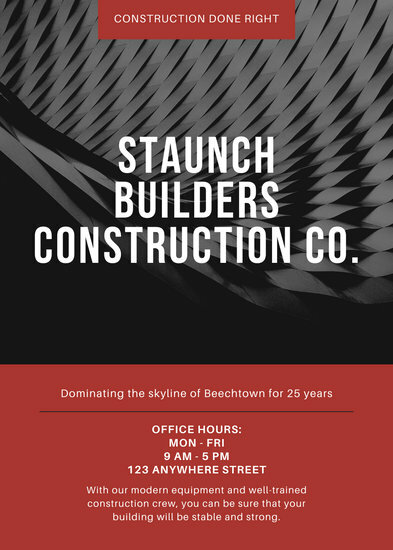 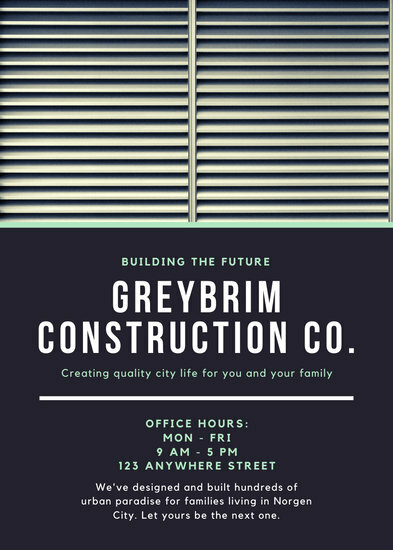 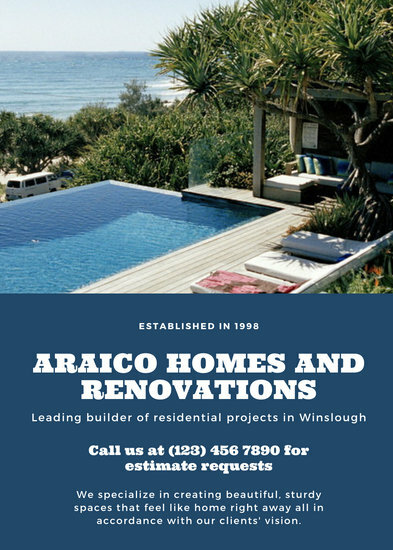 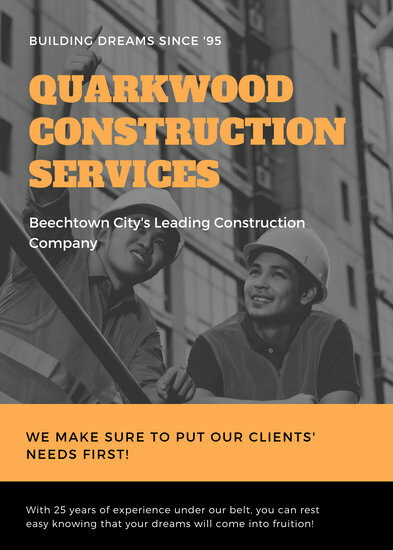 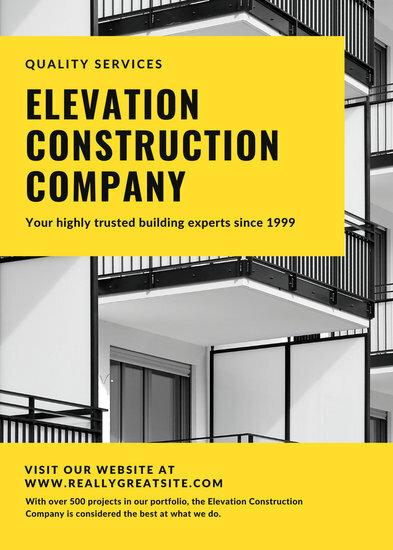 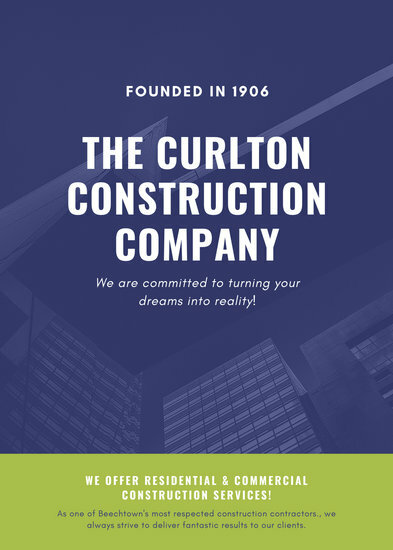 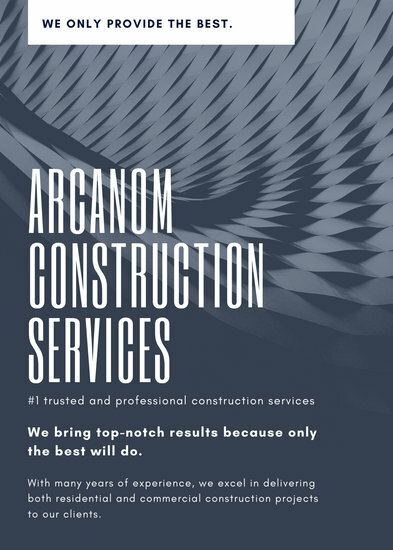 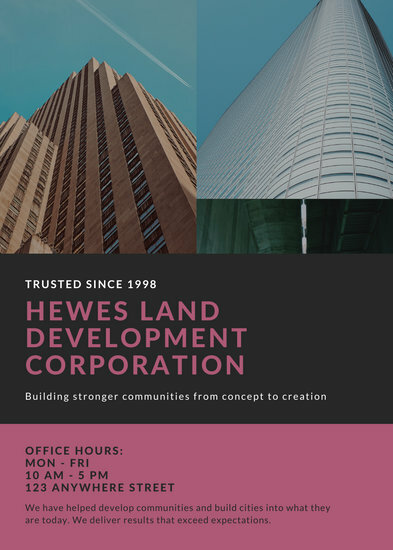 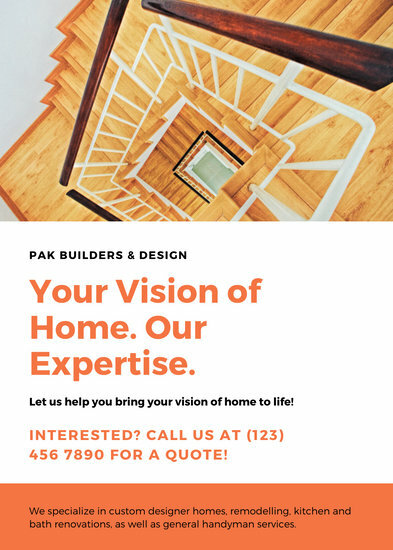 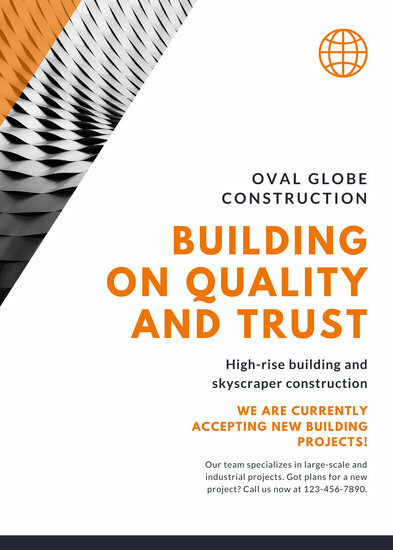 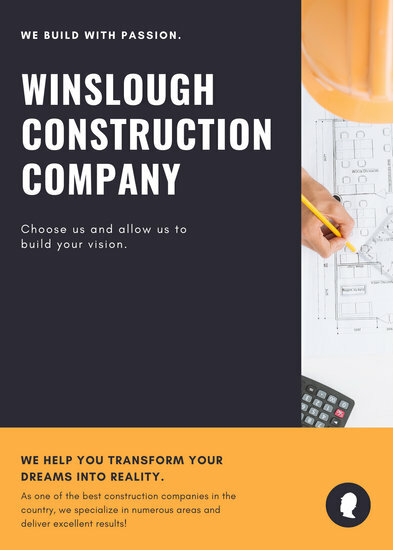 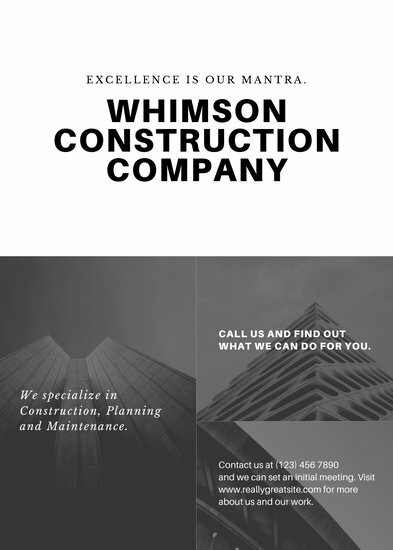 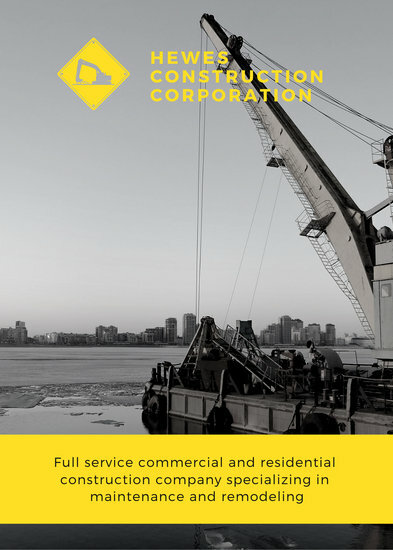 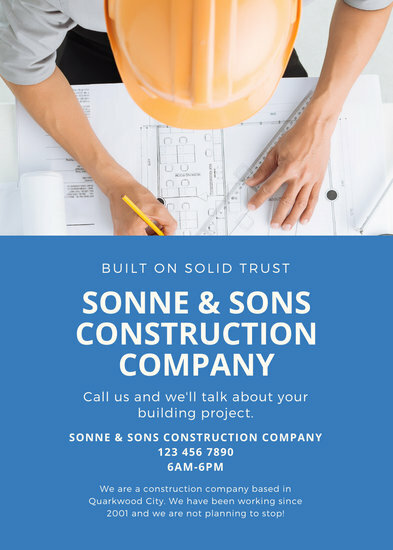 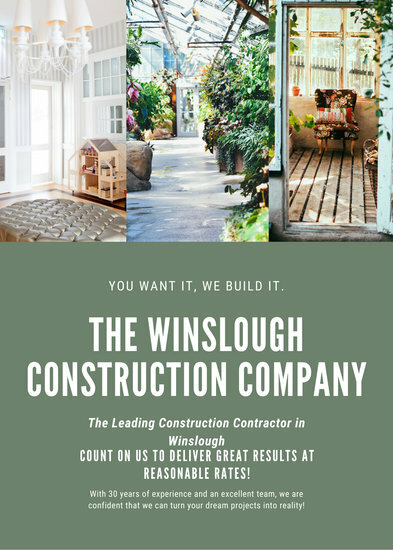 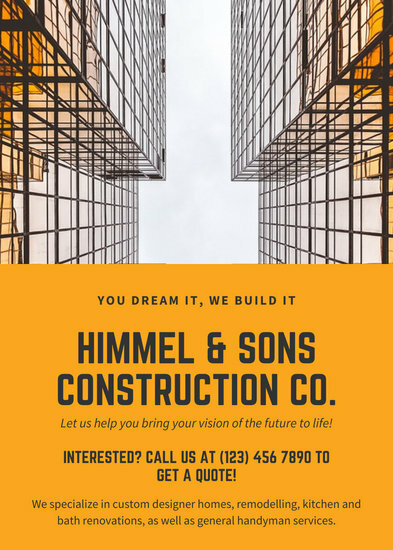 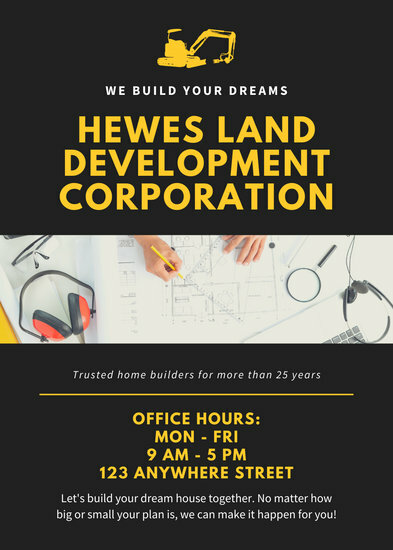 It’s a good thing that Canva has editable flyer templates targeted specifically for the construction industry. 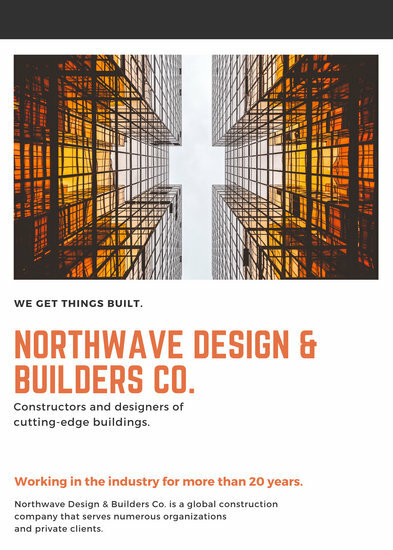 Our layouts combine snappy headlines with striking images, resulting in a flyer which not only catches customers’ eyes but also draws them in and lets them find out more about what you have to offer. 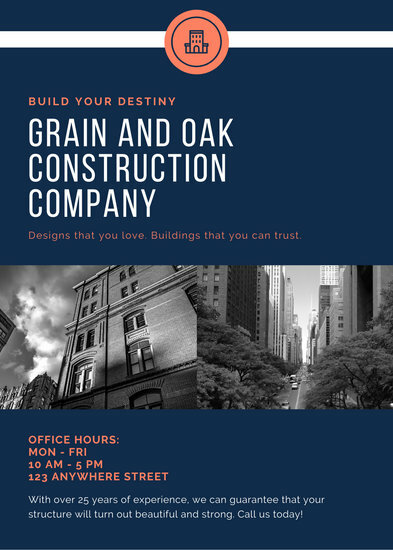 These pre-made designs come either as one-page or two-page layouts, but you can always add or delete pages with just the click of a button. 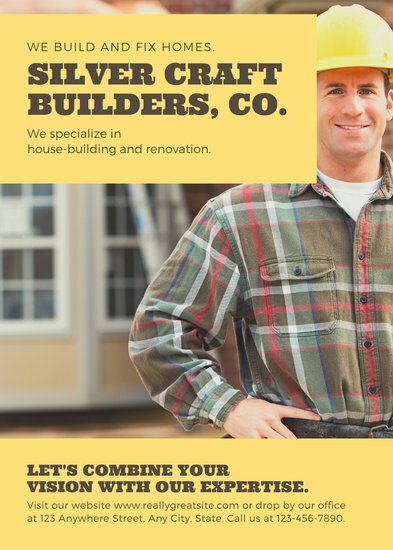 Want to make your flyer even more compelling? 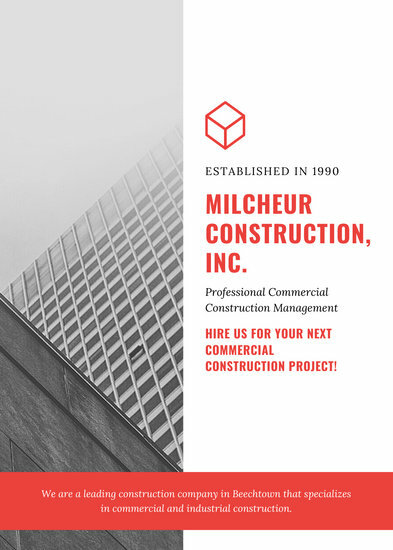 Use the text editor to add a blurb or two about the quality of your product or service, a list of projects you’ve completed, or even testimonials from satisfied clients. 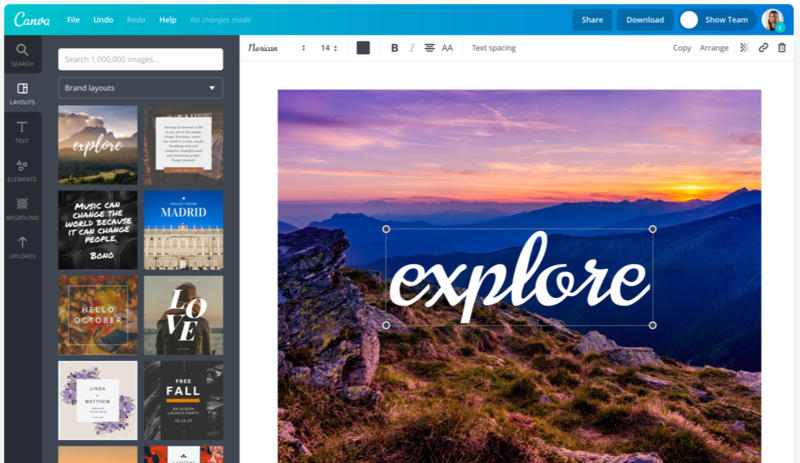 If you need approval from a higher-up on your design, you can use Canva’s collaboration tool that lets you invite other people to view or edit the design. 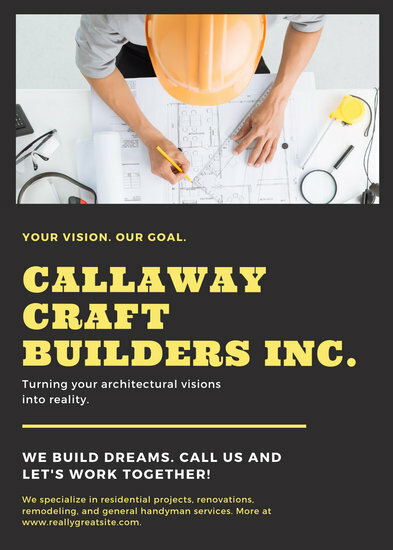 You can even store your company logo and fonts within the platform for easy access the next time you create another set of flyers. 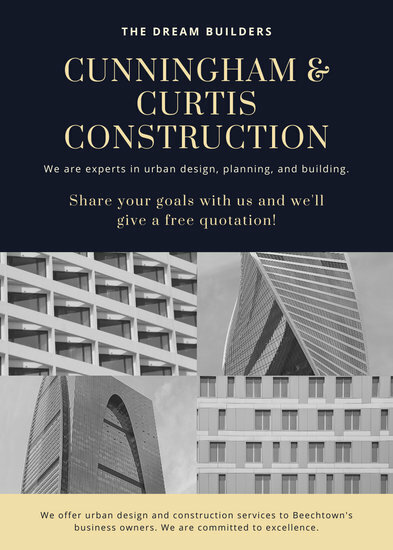 There’s really so much you can do with Canva!